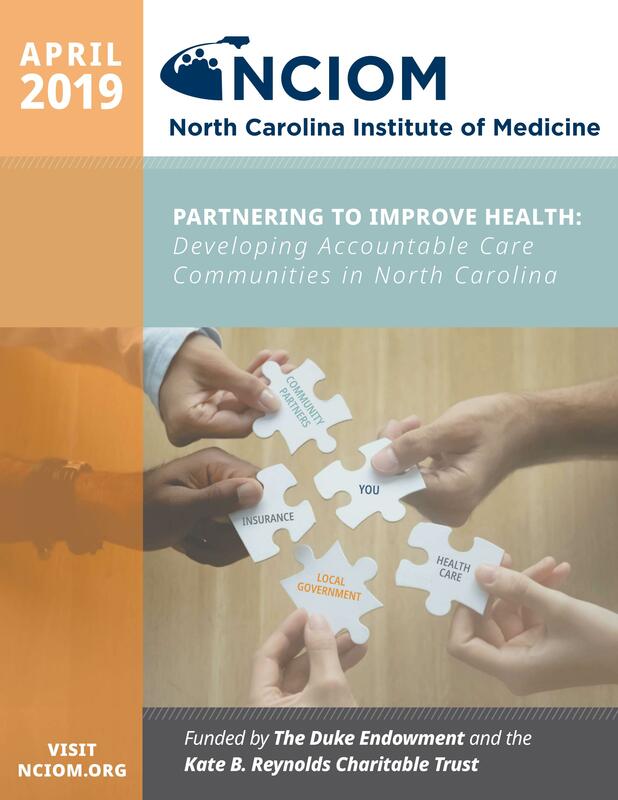 In 2018, with funding from the Kate B. Reynolds Charitable Trust and The Duke Endowment, the NCIOM convened the Task Force on Accountable Care Communities to make recommendations that encourage the development of multisector partnerships to address the drivers of health. This report provides background on the movement to value-based payment and how Accountable Care Communities provide a way for communities across the state to come together to create opportunities for all residents to be healthy. The Task Force made 24 recommendations, spanning a broad range of issues from the readiness of organizations and systems to partner, to funding mechanisms and priorities for sustainability.